In this third book in the Lunar Chronicles, Cinder and Captain Thorne are fugitives on the run, now with Scarlet and Wolf in tow. Together, they’re plotting to overthrow Queen Levana and her army. If you thought that Cinder and Scarlet were amazing, they are nothing compared to the rollercoaster that is Cress. 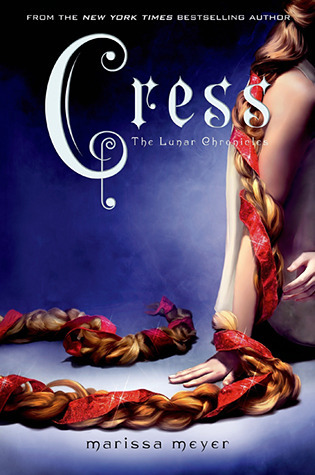 Cress is, in my opinion, the best installment in this series so far (I have yet to read Winter so… yeah). It has everything: action, humour, mystery, plot twists, feels and feels… It. Is. Amazing. “The sky is gorgeous, intense blue color.” She pressed her fingers to the glass and traced the wavy hills on the horizon. Have I mentioned how much I laughed when I reached these? “An animal?” Thorne said, and she realized he’d been waiting for her to further explain what she was seeing. Seriously people. It was so good. 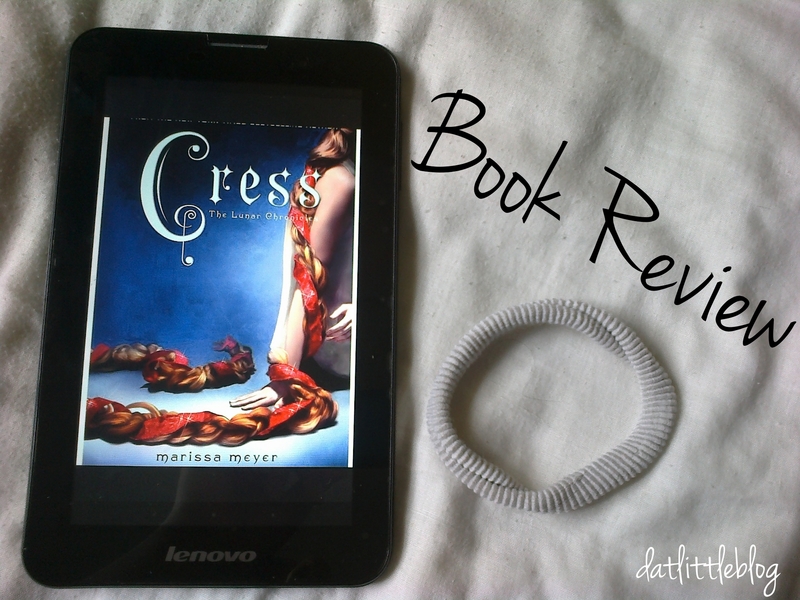 Not only do we discover Cress as a new character but, hello, the plot goes on to! We have Cinder trying to find a way to free the Earth from Levana’s grasp, and the way they proceed is worth all of the pages in this book, trust me. Yes, there are, again, some plot twists and scenes that I had seen coming, but, man, that didn’t change the way I feel about the book at all. I mean, yeah, it’s like I have some spiritual powers and see everything coming, but it keeps me on the edge nonetheless!… See what I mean? The characters, here again, go through some development, especially Thorne. Have I mentioned how much I love him? Yes? No? Well… I love Thorne. And even though I think that the ship CressxThrone is overly cute, I don’treally ship them. But, bah! We’ll see how it all plays out in Winter. The pace was a little bit slower than in the previous books, but I can understand that as it is a 500 pages long book. Nonetheless there were some things which were dragging on and on and were a bit annoying. Annoying thing that happened in this book is the lack of Scarlet. Seriously. Yes, I know what happens in the beginning, but I think Meyer could still have written a bit more about her besides the first and last chapters, because I was just, so, so worried about her! I cannot wait to find out more in Winter! And that is it! I truly do not know what to add besides that this book was utterly fantastic and amazing and made me more excited for Winter than ever. I cannot wait for my exams to be over! What about you? Have you liked Cress? Any thoughts? And please, no spoilers!